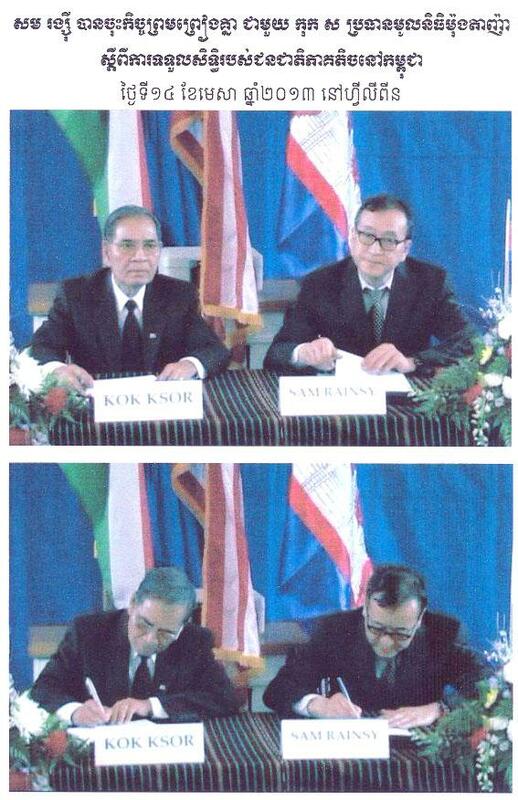 Kok Ksor and Sam Rainsy sign documents. Fresh News. 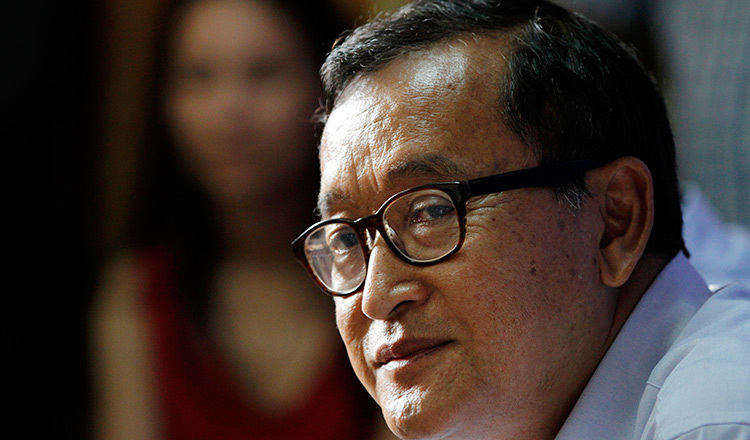 The Interior Ministry is considering taking legal action against former opposition leader Sam Rainsy, who allegedly agreed to cede Cambodia’s northeast provinces to Vietnam’s Montagnards if he won the 2013 election, according to video footage posted on Facebook. 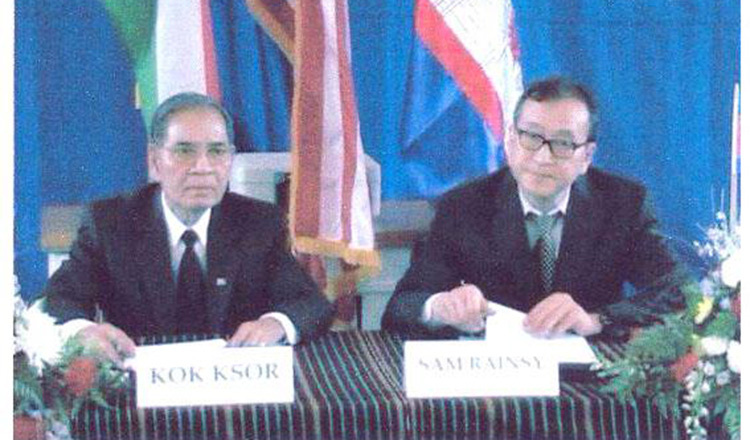 Interior Ministry spokesman General Khieu Sopheak said the ministry was reviewing its options after viewing the video, which was posted along with documents dated April 14, 2013 and bearing Mr Rainsy’s signature and that of Kok Ksor, head of a Montagnard association in the United States. Montagnard (also known as Degar) is a French term referring to a Vietnamese hill tribe, most of whom are from Christian ethnic minority groups residing in the Vietnam Central Highlands. The Facebook post alleged that Mr Rainsy signed an agreement just months before the 2013 election to cede Cambodian territory to Montagnards if his opposition CNRP won the poll. “In my opinion, it is treason,” he added. In the video footage posted on the Facebook account of Rithy Erng, Mr Rainsy can be heard speaking in English at a conference. 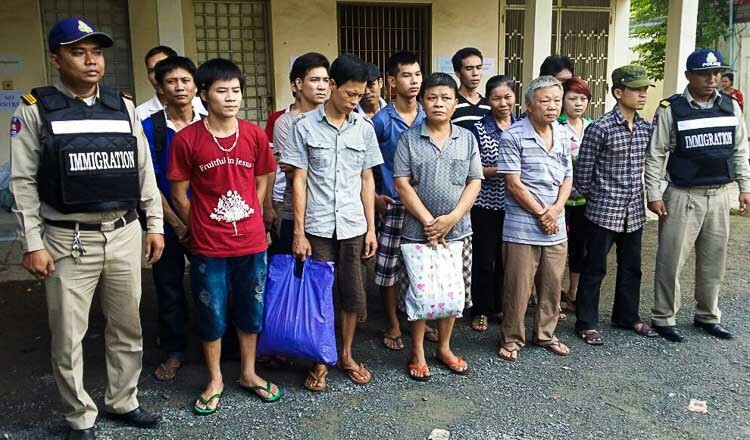 “Those people who themselves are Degar people, they are part of the Cambodian nation,” Mr Rainsy said. 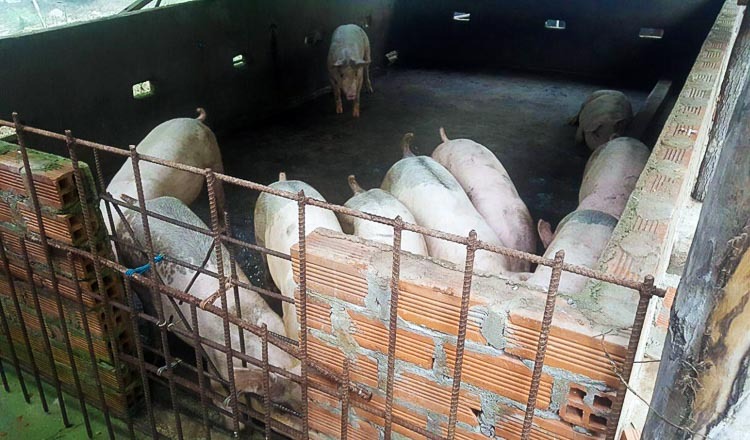 “They live in Mondulkiri, Ratanakkiri, Stung Treng and Kratie provinces. 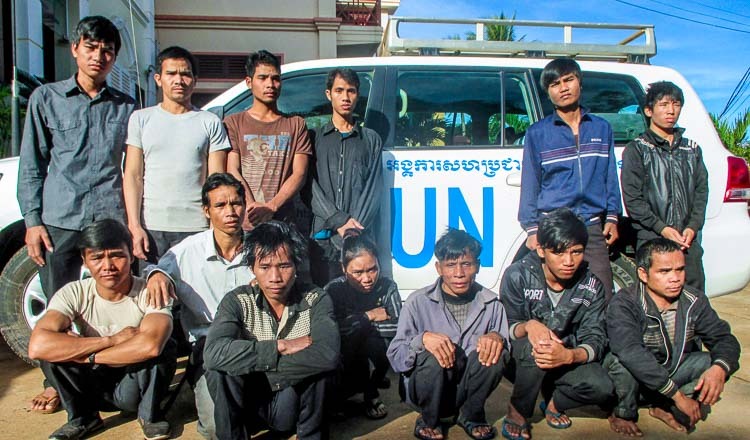 We are very grateful to the Degar who have been very supportive of the Cambodia National Rescue Party. 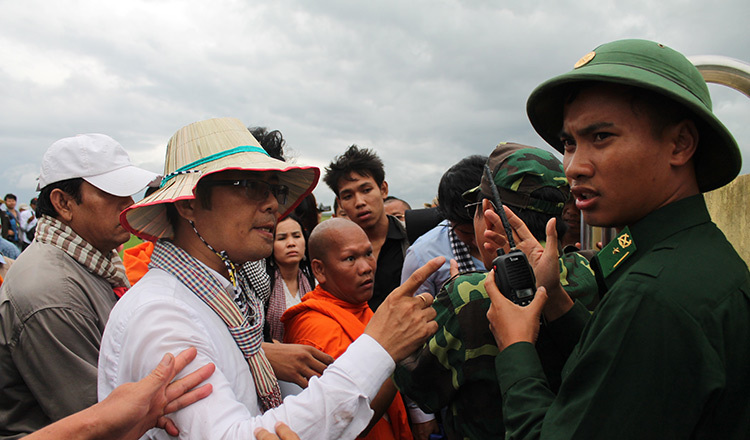 Former CNRP lawmaker Ou Chanrath said he did not support the idea of ceding Cambodia’s land to another country. The CNRP made major gains in the 2013 election, winning 55 seats in the National Assembly as the ruling CPP secured 68 and ensured its continued governance. 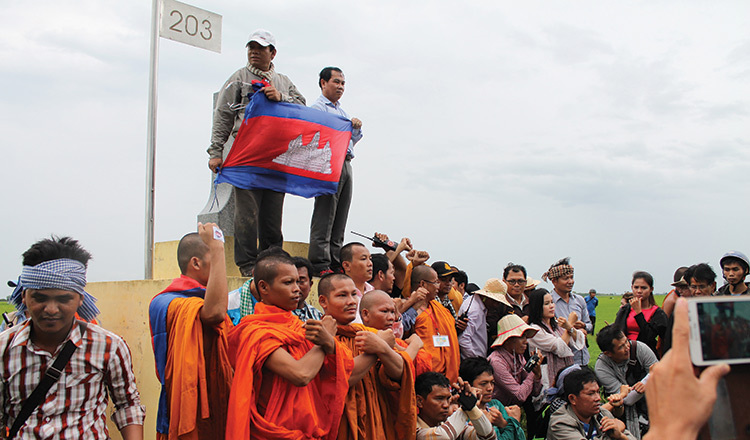 Former CNRP lawmakers and party supporters visit the Cambodian-Vietnam border in Svay Rieng province in July 2015. Mr Rainsy then fled the country in 2015 to avoid jail sentences from a slew of court cases levelled against him, leaving his colleague Kem Sokha to take over as CNRP president. However, Mr Sokha has since been jailed on treason charges for allegedly conspiring with the United States to topple the government through a colour revolution. Following his arrest, the Supreme Court dissolved the opposition CNRP in November and banned 118 of its senior members from politics for five years. 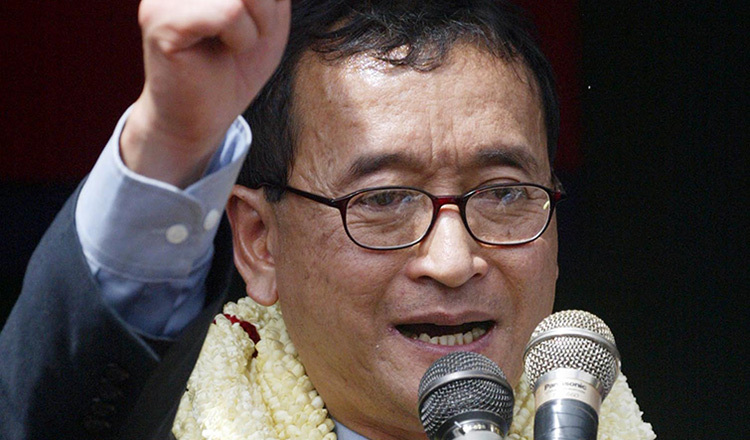 In 2016, Phnom Penh Municipal Court sentenced Mr Rainsy in absentia to five years in prison over posting a fake 1979 border treaty to Facebook which purported to show Vietnam and Cambodia agreeing to get rid of their mutual boundary.